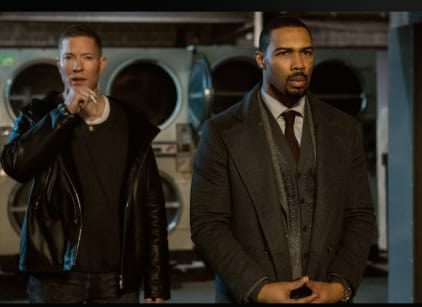 Milan tells Ghost that he must pay for his product upfront and in full, meaning Ghost has to use the money for the Karen Bassett deal. Ghost thinks they have to work with Milan until they figure out how to take him out but Tommy disagrees. The Office of Professional Responsibility investigates the task force in hopes of finding the mole in the department. Knox and Sandoval both throw Angela under the bus in regards to her relationship with Ghost. Kanan continues his plan to exact revenge on Ghost. Tasha cover for Ghost and tells Angela that she and Ghost got back together and were at the hotel the night of Lobos's murder. Milan and company beat Tommy up but spare his life when they realize he has nothing to live for.